The NSP Safety Team strives to be the ski industry leader on mountain safety education and awareness for guests and employees. The team will accomplish this by aligning and collaborating with other like-minded organizations and leveraging communications materials and events to promote the safe enjoyment of snow sports. They will represent all members of the NSP with the highest level of patroller skills and a commitment to creativity and integrity. As an NSP marketing asset, the team will help NSP reach one of the core strategic NSP objectives: increase NSP brand awareness and depth of meaning among NSP key constituencies. Through marketing activation and engagement, the NSP Safety Team also helps with outreach and recruitment and reinforces the NSP brand. Safety Team member responsibilities include promoting safety for patrollers, resort employees, and the public; creating national safety pieces in print and digital formats that are distributed through NSP, the National Ski Areas Association, local areas, and social media platforms; representing division interests to national committees; distribution of safety items; and the promotion of Safety Month. The NSP Safety Team will be the leader in mountain safety, education, awareness, and hazards reduction. The NSP Safety Team strives to be the leader in the ski industry in education, awareness, and mountain safety for employees and guests. We will accomplish this by aligning and collaborating with other like-minded organizations. We will represent all members of the National Ski Patrol organization with the highest level of patroller skills, commitment to creativity, and integrity. Matt started skiing when he was five years old, taught by his father at Brighton, Utah. 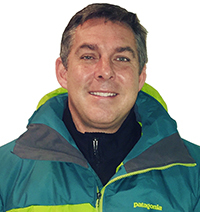 In fall 2002, he was hired at Canyons Resort as a rookie patroller, then became a supervisor, incident investigator, OEC instructor, snowmobile instructor, and lift evacuation instructor. He has worked the mountain bike patroller in summer for eight years. 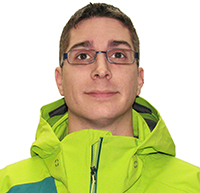 In 2010, Matt took the position of training supervisor for the pro patrol staff for winter and summer, training new patrollers in all aspects of patrol work. He was awarded a Yellow Merit Star during the 2014-2015 season. Brett started patrolling in 1998 at Wintergreen Resort in Virginia, but his interests in safety extend far past patrolling. An EMS professional since 1990, Brett works part-time as a Flight Paramedic for the University of Virginia-Pegasus helicopter. Full-time, Brett owns an Executive/CEO training and development business. He is a Certified Patroller and mountain manager. Brett was awarded a Purple Merit Star in 2003. If not travelling for work or playing outdoors, Brett enjoys spending time on and off the snow with his wife and two sons. 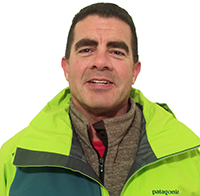 The 2016-17 season will be Sal's 34th as a patroller, 26-plus as a member of the Grand Targhee Ski Patrol in Alta, Wyoming. 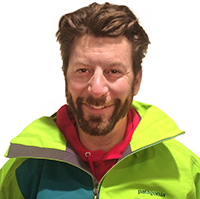 He is a member of the avalanche hazard reduction team, a candidate trainer, and Outdoor Emergency Transportation trainer, and works Grand Targhee Mountain Bike Patrol. Sal was previously the Intermountain Division OET supervisor and is currently an Intermountain Division OET instructor trainer. He earned a Yellow Merit Star, Meritorious Service Award, Distinguished Service Award, and National Appointment Number 8160. Sal is also a member of the High Fives Foundation Advisory Board. Nicholas was born in Fairbanks, Alaska. He started patrolling in eighth grade with Birch Hill Patrol. In 2000, he passed OEC and in 2003 become a full-time pro patroller. He is a Level I instructor with the American Association of Snowboard Instructors. As facility manager, he worked with staff to focus more public education on park safety. 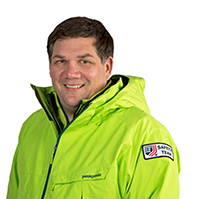 After moving to Anchorage in 2013, he joined the Anchorage Nordic Patrol and learned to ski and within one year was elected assistant patrol director. The patrol provides emergency care and rescue services to the South-Central Alaska area.